Often the simplest things can make the biggest difference to your workflow and, we’ve got a small yet powerful tool to make your life a whole lot easier! 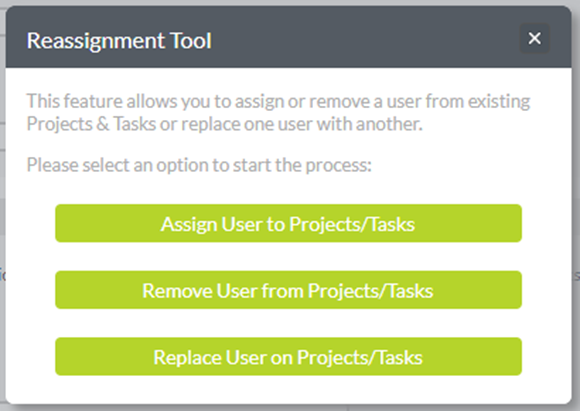 The Reassignment Tool is one of our forgotten critical features within ProWorkflow. This feature allows you to cater to change quickly and efficiently. This is done through bulk assigning, reassigning and removing a User from Projects/Tasks. Beverley is joining the team and, she has to be assigned to all the same tasks as Max. Instead of going in one by one and adding Beverley to these key tasks – you can bulk assign Projects/Tasks with a few clicks. 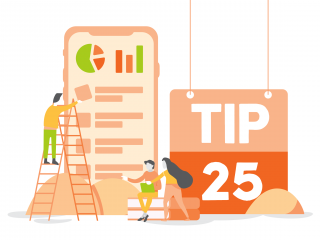 One of your staff members may be phasing out of the overall project or exiting the company – This means you can smoothly Remove a user from all the relevant Projects/Task they have been assigned to. Jimmy is starting a new position within your business, and he needs to take over Wendy’s tasks, and to ensure that her Projects and Tasks get the best handover possible, the Reassignment tool is your new best friend and can be completed with a few clicks. Any of these scenarios sound like you? Let us quickly run you through how to go ahead and use this feature! Click on the “Settings” tab at the top to be navigated to the “Settings” Page. Check all the details are correct as this process is not reversible and click “Finish” to confirm this.